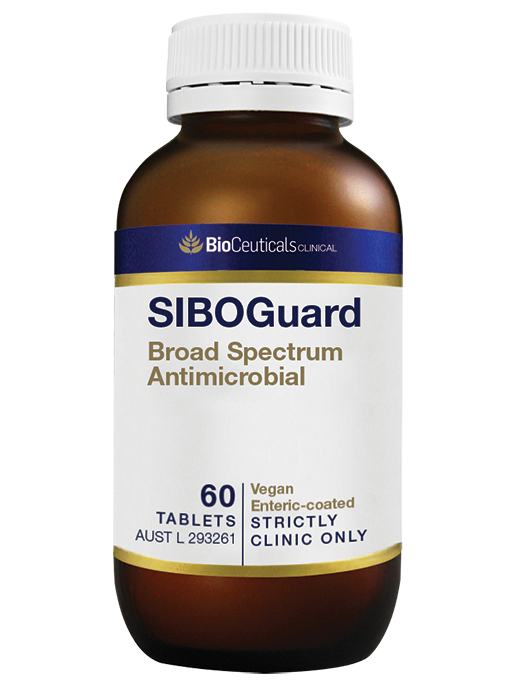 An extensive antimicrobial herbal formula with standardised berberine and allicin, for targeted intestinal delivery. 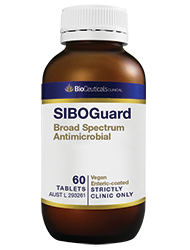 SIBOGuard is formulated to provide broad spectrum antimicrobial activity from a combination of standardised herbs and essential oils, delivered in an enteric coated tablet for targeted intestinal release. Includes barberry, which is a herb used traditionally for symptoms associated with microbial overgrowth, and peppermint oil, which may help relieve symptoms of medically diagnosed IBS.